Business slogans are short phrases that serve as a representation of your company, generally without specifically naming the business. Well-written slogans invoke feelings and ideas about your company that are in-line with your company's mission, vision and values while also resonating in the minds of customers. Coming up with a slogan might seem daunting, but the process can actually be fun! Use these ideas for inspiration to help get you started! In crafting a slogan for a technology company, consider how your products or services make life better for your customers. As clear as it sounds. When crafting a tagline for your service-oriented business, consider what you want your customers to feel in receiving the services you offer. 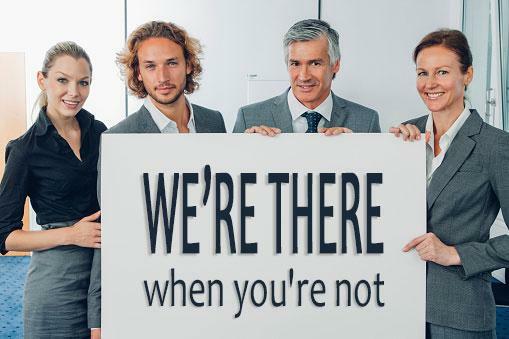 We're there when you're not. Helping you get dressed, one leg at a time. Retails stores and products have plenty of competition. Why is yours better? Where do you excel? That's what your slogan should convey. Clean is just the beginning. What you need. Before you need it. Success starts with a smile. Because you don't have time to be prepared. Because we prepared for you. The food and beverage industry is another competitive space. Your great product will speak for itself, so focus on the experience when crafting a slogan. Flavor is only the beginning. Flavors that cut to the core. Always time for a cup. Delicious is only the beginning. Cut to the meat of it. Life is nutty. Smooth it out. As evidenced in McDonald's "I'm Lovin' It," great taglines often become a part of our society's cultural landscape. Bad business slogans can do more harm than good. There are a number of important tips to keep in mind when creating slogans to market your business. Know your brand identity - what your company is and what it offers your customers. Are you playful, serious? Innovative or traditional? 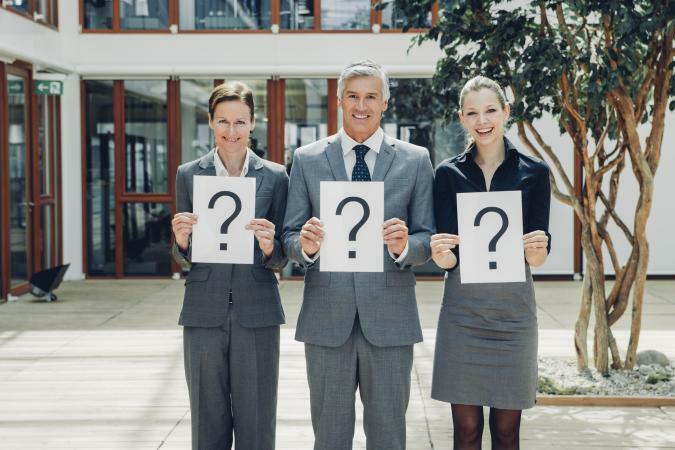 Is your company young or old? How do you speak to customers? Be succinct. You may have heard the phrase "Keep it simple, stupid" (KISS). That is absolutely the case here. Slogans are not the place to use your SAT words or industry jargon. No SEO. Taglines are not meant for search results. They are meant to impress upon your customers what your brand is all about. Make your slogan memorable and make it catchy. It's all about the feelings. Emotions create connection. Positioning is how you want consumers to feel about you. Business slogans are meant to position your company, and feelings aren't always rational. So, while your ultimate goal is to sell product or services, that's not what your slogan needs to say. Your slogan should focus on how you want your brand to make people feel. "Just do it" may have worked for Nike, but try to stay away from demands and messages that clearly say, "buy me." Take your time. When crafting a slogan, give yourself time to think. Start with a list of feelings, visuals images and phrases that you think cut to the core of how you want the public to connect to your business. Think about what you want your business to signify. Keep a running list over the course of a few weeks and write down new ones as they come to mind. Get feedback. Don't be afraid to discuss your ideas for slogans with friends, family, coworkers, and events. The more feedback you get, the easier it will be to fine-tune your tagline to say exactly what you mean. With the list compiled, whether original or from the choices above, make it fun. Gather business partners, a group of friends or your marketing team, and find the ones that resonate. Use post-it notes or a white board and narrow those down until you've got the winner. Don't be afraid to go through the process multiple times until you find the right slogan. It is a worthwhile use of your time that can pay off with loyal customers!